Secure your Tundra in any area where it might be vulnerable. 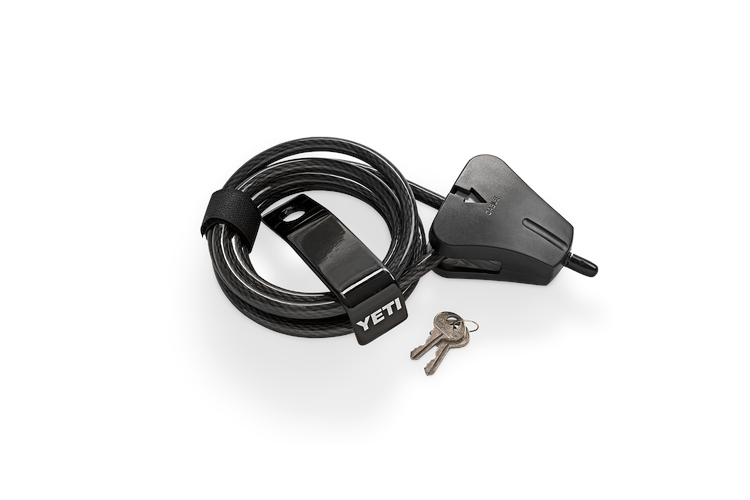 This set includes a 6 foot long cable, with adjustable lock and a carbon steel lock bracket, which fits into your YETI's AnchorPoint™ Tie-Down Slots. The cable will hold tight and easily threads through anchor points. The carbon steel locking bracket adds an additional secure point for the cable, if needed. The YETI Security Cable Lock and Bracket will fit all Tundra coolers.